We offer a complete line of home care services to keep you or your loved one in the home, living comfortably and with dignity. Most often when asked, seniors would choose to stay in their own home, even when they are no longer able to care for it or themselves the way they once were/did in the past??. This difficult decision is inevitable in all of our lives, not only for the person facing these challenges, but for those that love them. It’s best to have the dialogue early, before an assisted living facility appears to be the only option, because it’s not. Your loved one can remain comfortably in his/her home, continuing her daily routine and living independently with the help of professional care. It’s overwhelming and often painful to see a loved one losing the ability to manage a home. Whether it’s temporary, a gradual decline, sudden health change, or memory difficulties, you worry about maintaining a safe environment. It is essential to have a conversation early so your loved one can be involved in the planning for home care. Learn how we can work with you to keep you or your loved ones in their home, safely and comfortably. 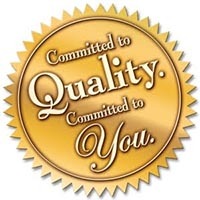 Contact us (315-877-2610) today for a free in home care needs assessment.